Because of its distinctive island geography and its method of dividing land dating back to ali’i rule, Hawaii has some unique real estate terms. 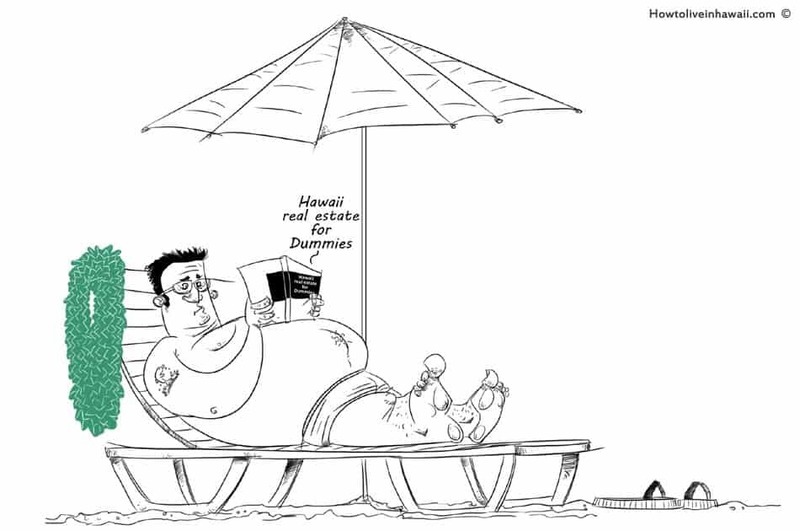 Before you start looking for a home on the islands, take some time to become familiar with these words that are commonly used in Hawaii’s real estate industry. ahupua’a (AH-hoo-poo-AH-ah) – In early Hawaiian times, a subdivision of land extending from the mountains to the ocean that was ruled by ali’i. Today, the ahupuaa have been split up and belong to multiple landowners. condo hotel – A condominium building that is operated like a hotel — offering telephone, housekeeping, and front-desk services — although all of its units are individually owned vacation rentals. country – On Oahu, the “country” is the less-developed North Shore. CPR number – Condominium Property Regime number. A unique identifier that distinguishes one condo from another in a building, for tax and sales purposes. It is the sixth number that comes after the five-number Tax Map Key for the piece of land that contains the condo. duplex – In Honolulu, this usually means a two-story house that has been converted into two separate residences: one upstairs, and the other downstairs. ewa (EH-vah) – Toward the west, leeward. GET – General Excise Tax. jalousie – A traditional shutter-style of window commonly found in Hawaiian homes, in which a row of horizontal glass plates are cranked open or shut. kona (KOH-nah) – Westward, leeward. The leeward side of the island. Breezes that blow against the tradewinds. lanai (lah-NYE) – Patio, balcony, porch. leasehold – A property whose improvements are usually owned by the buyer, but whose land is only leased by the buyer. Leaseholds are usually cheaper to buy than “fee simple” properties. leeward – Toward the west. The western side of the island. makai (mah-KYE) – Toward the ocean. post and pier – A traditional way of building houses in Hawaii in which the foundation of the house is elevated on a stilt-like structure to take advantage of wind currents to keep the home’s interior cool. These homes, however, are particularly vulnerable in the event of a hurricane. town – On Oahu, “town” is anywhere in Honolulu. upcountry – The higher-elevation region surrounding Haleakala volcano on Maui that is characterized by green hills, cooler temperatures, ranches, and paniolos (Hawaiian cowboys). vog – Smog formed from volcanic emissions. windward – Toward the east. The eastern side of the island.